This is the third in a series of three talks and performances marking the centenary of the birth of Benjamin Britten. The Badke Quartet will perform Britten&apos;s String Quartet No 3 in G major (1975). My subject in the last lecture of this year is Britten’s Third String Quartet, written in 1975, some thirty years after the Second Quartet, and very near the end of the composer’s life. Some brief filling in of the time in between will be useful. At the close of my last lecture, we left Britten at a moment of change; those sweeping C major chords, pealing forth at the end of the last movement of his second String Quartet, were perhaps—in the context of 1945—an expression of triumph, or at least of relief at survival. What’s more, Britten himself thought that the quartet marked a new creative direction. In retrospect, though, the immediate future was all about a work that had premiered some months before. This was his Suffolk opera Peter Grimes, which proved so internationally successful that Britten was able to dedicate most of his energy in the following years to opera—to make it, as he said at the time, his “real metier”. He was aware of the strangeness of this decision: the “professional” opera composer, the specialist, had long since disappeared. As Britten wrote to fellow composer Michael Tippett: “I am possibly an anachronism. I am a composer of opera, and that is what I am going to be, throughout”. For a time, that’s exactly what happened. While Britten’s early life had seen him dedicate himself to a startling variety of musical genres (the string quartet not least among them), between 1945 and 1954 he was mostly occupied in producing seven operas, two of which, Billy Budd (1951) and The Turn of the Screw (1954), almost rivalled Grimes in popularity, both at home and (more slowly) abroad. But then, after The Turn of the Screw and in what seems again to have been a conscious attempt to renew himself, came another volte face. Britten turned away from opera and, as well as writing more instrumental and chamber music, essayed other stage genres such as ballets, “church parables” and children’s pieces. His only return to opera during the next fifteen years was for the Shakespeare adaptation A Midsummer Night’s Dream (1960). During the 1960s, as he became an ambiguous national monument, various grandiose operatic projects were mooted, including a King Lear and an Anna Karenin. Perhaps wisely, he left them unrealised. The operas immediately after Grimes tell an interesting story, and one that has relevance to the piece that is my main topic today. His chosen subject matter continued in the same vein: restraint and ambiguity within personal, interior dramas; above all, nothing epic. What is more, Britten showed a continuing willingness to let pure instrumental music take the burden of communication at critical moments. This is heard in the last minutes of Grimes, when the weary, maddened protagonist takes his boat far out to sea; or in Billy Budd, in which the central confrontation in the opera (between condemned sailor Billy Budd and his captain, Vere, who announces his sentence of death) is represented entirely by means of the orchestra, which moves through a sequence of tonal and orchestral combinations (and delicately shifting moods) in a succession of thirty-four chords; or in The Turn of the Screw which, like Grimes, gains much of its individuality from a series of orchestral interludes connecting an otherwise fragmentary succession of short scenes. In other words, although Britten concentrated on vocal genres in this period, the pull of purely instrumental music—with its famed absence of precise meaning—never deserted him, and even proved critical to the articulation of his vocal art. A major shift in these years, however, is that Britten’s compositional range became bolder and more eclectic: the interludes in The Turn of the Screw are even variations on a twelve-note “row”, albeit one constructed and then used in a way that maximizes its tonal possibilities. Britten’s success after Grimes brought with it exhortations (probably internal as well as external) to tackle, if not more heroic subjects, then at least those that might carry a more traditional pedigree. He usually resisted this pressure but the decision to tackle A Midsummer Night’s Dream in 1960 marked a departure of sorts. It was, after all, Shakespeare, and thus with imposing musical precedents. What’s more, the play presented seemingly few opportunities for the characteristic restraint and ambivalence that had fuelled his major characters so far. It is clear that Britten was aware of the challenge: in an essay about Dream he mentioned that the three layers of action demanded by the topic—those of the lovers, the mechanicals and the fairies—seemed to him “operatically … especially exciting”. There is, though, little doubt that the last of these groups sparked his musical imagination most intensely. The fairies occupy a determinedly non-operatic vocal world: Oberon is a counter-tenor, a voice-type until then virtually unknown on the operatic stage; the fairy chorus are churchy trebles; and Puck is an adolescent boy who speaks his lines throughout. Their final salutation at the opera’s end, “Now until the break of day”, is a justly celebrated lullaby, complete with poised, antique, Purcellian rhythmic snaps (of the type we heard in the finale of the Second String Quartet) and a narcotic accompaniment of harpsichord and harps, revolving endlessly under a melody of extreme, beguiling simplicity. In spite of all this industry and stylistic change, by 1960 the Third String Quartet was still a long way in the musical future. 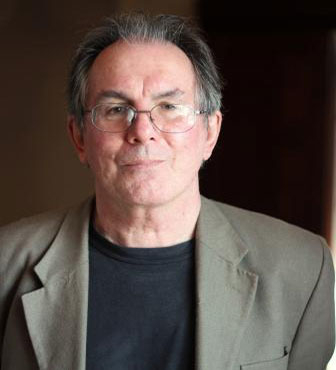 First there would be further renunciation of opera, and then, in the earlier 1970s, a cautious return with Owen Wingrave (written for television) and an adaptation of Thomas Mann’s novella, Death in Venice (1973), awork that was clearly valedictory and that, in the circumstances, became inevitably laden with biographical significance. By that time Britten’s health, always fragile, was obviously breaking down. In 1972 it became clear that he required, and urgently, a heart operation; but he put it off until he had finished Death in Venice in early 1973. Surgery then took place, and seemed at first successful; but from that time until his death in late 1976 he was more-or-less an invalid, increasingly aware that his days were numbered. It was in these circumstances, post-Death in Venice, that the Third String Quartet emerged. The fact that it is closely tied, both in general mood and specific musical detail, to his final opera has meant that it too has acquired a large, harrowing collection of extra-musical baggage. This baggage is on one level concerned with the immediate surroundings of the Quartet and its genesis. It is dedicated to the musicologist Hans Keller, a prominent voice in early Britten appreciation, and a staunch advocate of the Austro-German string quartet canon. But in many ways the true dedicatee is the city that inspired his last opera. Before embarking on Death in Venice, Britten had visited Venice for inspiration, copying down gondolier songs and glorying in the bell sounds the city is so famous for. Now, in late 1975, having started the Third Quartet in Suffolk, he returned to Venice in what seems to have been a conscious gesture of farewell. He stayed at the Hotel Danieli, a beautiful old building very near the piazza San Marco and uncommonly steeped in cultural history of the most august pedigree. Among the Danieli’s guests have figured Goethe, Byron and Dickens; George Sand and Alfred de Musset stayed there together; Mendelssohn visited in the 1830s, Debussy in 1880, and in-between Wagner lodged there several times, at least once in typically complex domestic circumstances (together, that is, with his Tristan muse Mathilde Wesendonck and her long-suffering husband Otto). In case you’re interested, modern luminaries have also graced the Danieli’s portals: Wikipedia’s list of notable guests moves unblushingly from Goethe and Byron to Harrison Ford and Steven Spielberg, which I suppose boasts continuity of a kind. And the hotel is still there and open for business, now a boutique establishment, living off its history to the tune of (on my latest internet search) around €700 per night. There’s a poignant photo of Britten on this last trip: looking very frail, gazing out from his hotel balcony over the grand canal and the inimitable cityscape. Apparently the famous bells were again in evidence; when they were in full peal, his carers threw open the balcony doors of his room to intensify the effect. All this so unlocked his inspiration that he completed the quartet right there in the city. It was, as it turned out, his last major work. In the circumstances, with that thirty year gap and its accompanying stylistic innovations, it might be thought strange if the Third Quartet showed much kinship with his other two works in the genre. And there are indeed obvious ways in which Britten’s musical language had developed markedly in the interim, in particular—as with the operas—becoming spikier and leaner, more prone to an advanced modernist language both in harmony and texture. But there are nevertheless similarities with First and Second Quartets. One of the most obvious is in remarkable disparities in length between individual movements. This quartet is in five strongly contrasting movements, with the first and third approximately five minutes each, the second and fourth much shorter, and the last—obviously exceptional and laden with uncommon resonance—lasting around ten minutes and thus occupying more than a third of the entire work. Also reminiscent of his First and Second Quartets is that the quartet medium is, as it were, in a constant state of flux, the famed unity and much vaunted homogeneity of the ensemble often called into question, its tendency towards fragmentation often exploited. Nowhere is this more obvious, more programmatic even, than in the first movement, aptly called “Duets”. Laid out, as are all the movements, in a broad ABA form, it explores what Bartok, in a movement of his Concerto for Orchestra, famously called a giuoco delle coppie, a game of couples. The movement begins with an undulating, constantly intertwining and overlapping duet between the second violin and the viola, a gentle passage that for many has called forth images of the constantly shifting world of Venice’s famous waterways, large and small. These two instruments, which play almost as one, are then joined, or rather punctuated, by mournful, isolated statements from the two outer instruments, interjecting either with single, intense sustained notes or with echoing pizzicati. Trills and more developed melodic fragments then appear before the undulating theme shifts to first violin and cello. The “B” section is strongly contrasting: rhythmically lively, even assertive, and building to an orchestral climax with multiple double-stopping. But soon the intertwining duet returns (this time between the two violins, the first violin straining ever upwards, mournfully airborne). Although the orchestral double-stops return briefly, the movement ends in fragmentation, seemingly exhausted, echoing with eerie harmonics. The second movement, “Ostinato”, could not be in greater contrast. Marked to be played “Very fast”, its “A” section contrasts loud, assertive unison chords, exploring the entire range in four heavy crotchets, with a “busy” theme, first introduced on the first violin and sounding for all the world like a fugal subject. The “B” section is contrasting both in dynamics and texture: it returns us closer to the mood of the first movement, with delicate, double-stopped chords, almost ethereal in effect. The outer sections of the third movement, called “Solo”, are the bleakest of the entire work. It is dominated by the first violin, playing near the extreme of its upper range, like a voice crying in the wilderness. The music’s spare beauty is uncannily reminiscent of Shostakovitch, and could well be Britten’s homage to his fellow artist, who had died in August of that very year. Equally extraordinary, though, is the central section, in which the first violin mutates into trilling birdsong, and the lower strings join to create a bizarre dawn chorus, each with an individual repetitive figure—the second violin and viola with arpeggios and the cello sliding into and away from harmonics. The fourth movement is characterised, like the second, with abrupt energy. The occasional use of harmonics, panoply of accents and the unusual, stratified sound world of the “B” section (in which, among other “advanced” techniques, the viola is instructed to play on the wrong side of the bridge, like a child let loose) seem almost to be offering a showcase of avant-garde string techniques. It is over in a flash, a self-conscious “miniature” which, in retrospect, is plainly preparing us for the final movement. That last movement is in many ways the centre of the work, as well as its goal. Its title, “Recitative and Passacaglia (La Serenissima)”, makes an unequivocal reference to Venice, and to the city hymned as “La Serenissima” by a chorus in Act 1 of Death in Venice. More important, its recitative-like opening is made up of five quotations, some more obvious than others, from the opera. There is no need to itemise all those references here. The first, played solo on the cello, is unmistakeable in the way its gently rocking motion offers a renewed evocation of the Venetian ambience. Most occluded and difficult to grasp is the last, which—through delicate motivic shadowing—presents a version of the poignant end to Death in Venice’s first act, in which the protagonist, aging novelist Gustav von Aschenbach, finally admits to himself, and sings out (molto rallentando, then “very slow”, then “almost spoken”) his love for an impossible object, a vision of the youth he can never recapture. It hardly needs saying that these shadowy quotations make new sense, even final sense, of Britten’s operatic tendency to dissolve into purely instrumental ambiguity at critical moments: this last movement of the last quartet does nothing less than transform into a continuation of, or perhaps a retrospective commentary on, the composer’s last opera. Such sentiments only become more intense in what follows: a closing passacaglia in which, over the slowly oscillating tread of a cello ground bass, the upper three instruments, one by one, offer a melodic counterpoint. There is so much to say about this ending. The cello’s ground—solemn crotchets, very low in the register of the instrument—is clearly a gesture to those bell sounds Britten heard from his room in the Hotel Danieli. The upper lines, in their tonality of E major, constant syncopations and melodic contour, seem to offer a ghostly echo of the fairy chorus that closes A Midsummer Night’s Dream. There, strumming harps and descanting trebles summon forth magical but benign night-time activity: “Trip away; / Make no stay; / Meet me all by break of day”. Here the mood is darker, above all with no expectation of dawn to break the spell. The upper parts never quite manage to take flight, never fully embrace their own fragile lyricism; they seem constantly in danger of losing identity, of giving in to the weighty, fatal pull of the bell-like cello, of themselves becoming mere tolling oscillation. What is more, the melodic contour of both bass and upper part, their reiteration of the first three notes of the E major scale, is surely yet another coded reference to Aschenbach’s confession of love, which is articulated via those same three notes. This passacaglia is, if you will, a patient, doleful composing out of that all-too-human confusion of passion, mingled as it is with a poignant awareness of the subjunctive and the finite; of a love that is all-consuming, that must remain hidden, and that will ultimately lie buried beneath the constant, ever-lasting bells of a beautiful, decaying city. Almost inevitably in the circumstances, the passacaglia ends not with solemn closure but—as did the first and third movements—with fragmentation and a final question: the cello’s tolling comes to rest on a long-held low note; the upper instruments drop out to leave it there, alone. The score’s final instruction is: dying away. How is one to perform such a movement, such a work? Despite a number of “free” elements, in particular a passage in the third movement’s “dawn chorus” section, the score of this Third Quartet is extremely detailed in bowings, dynamics and other expression marks. Britten seemed to leave remarkably little to the discretion of the performers, and as if to demonstrate this further, he jotted down precise timings (timings accurate to the second) for each movement. What is more, we have ample evidence that the composer became increasingly intolerant of performers who strayed from what he considered the exact letter of the text. The vocal score of Death in Venice, for example, contains the following, rather threatening instruction: “[the opera] has been recorded complete on Decca under the supervision of the composer. It is recommended that all those involved in a production of the opera should acquaint themselves with this recording”. And when in 1975 Britten heard the Canadian tenor Jon Vickers take the protagonist’s role in Peter Grimes at Covent Garden, and perform it in a vocal manner whose robustness was many leagues away from the then-standard interpretation of Peter Pears, he was incensed, commenting “Why does this man not observe what I wanted?” In these circumstances, should performers of the Third String Quartet simply attempt to reproduce as accurately as possible the creator’s every wish, perhaps modeling themselves slavishly on the recording of the Amadeus Quartet, who were its first interpreters and worked extensively with the composer? This question is not made easier by the relative nearness of the work to our own time, still less by the fact that its message was plainly so personal to Britten. But whatever one’s views, individual decisions will rarely be straightforward. What, after all, is the performers’ ultimate responsibility? Is it to the (absent) composer and his “work”? Or is it to the (present) audience and thus to a patiently acquired sense of how the piece will best communicate now, at this moment in history? Most would say that, of course, they should respect both; but sometimes (indeed, very often) crossroads will be reached, moments requiring choices that may have delicate but nevertheless profound effects on the music. This is, after all, a work that gestures again and again towards some of life’s great mysteries, its most humbling challenges; the steps one takes towards understanding it should, perhaps above all, be wandering and slow, ever aware of the subjunctive and the finite. 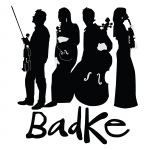 Here, to play for you today, is the Badke Quartet. Please join me in welcoming them: Charlotte Scott, first violin; Emma Parker, second violin; Jon Thorne, viola; and Jonathan Byers, cello.